As long time fans of his show, it was a dream come true for my sister and I to see Jerry Seinfeld live in Lethbridge on Friday night. A few weeks ago we had been discussing when a good time for me to come to Lethbridge to see her new place would be, and when this idea came up it seemed like the perfect opportunity to make the trip. Seinfeld performed at the Enmax Centre, which isn't exactly the ideal location for a comedy show. We weren't quite as close as we would've liked to be, but it didn't seem to matter as we found ourselves continually laughing out loud. 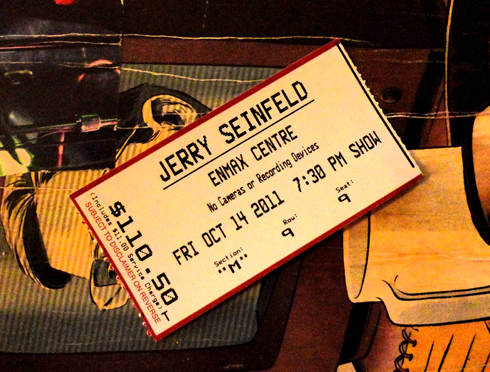 The very fact that Jerry Seinfeld even came to Lethbridge made the event seem special. His commentary on everyday oddities seemed as identifiable as ever, and feeling like we were somehow connected to one of our favorite shows for even just a couple of hours had us both buzzing - or was that the drinks? It was nice to meet up in Lethbridge for a change and see Alison and Steve's new place. My sister and I don't get a chance to hangout one on one all that often so it was also just nice to get a better idea of what things are like where she lives. 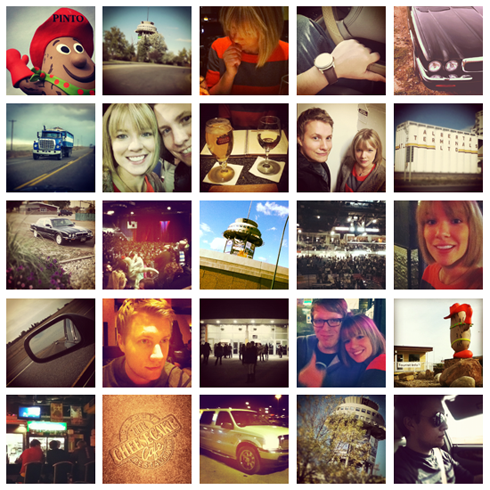 All and all it was a really fun night, and I shot lots of pictures of our weekend adventure. Glad you had a good time, Luke!